Chlorella is one of the most beneficial food you can find on planet Earth; a unicellular alga that grows in rivers and lakes. It is highly recommended to integrate your diet with it, since it is an high vibrational food, like every plant or fruit, because it grows with light. It can help those of us that don’t eat meat and animal byproducts. In fact it is a great source of vitamin B, specifically vitamin B12 which, again, can be found mainly in meat, cheese and eggs. This vitamin is very important; it helps the organism to regulate the synthesis of DNA and allows the growth of red blood cells. Tiredness, weakness, pain in the muscles are signals of B12 deficiency. Vitamin A, C, and E are also contained in Chlorella, which means that helps our eyesight, the correct functioning of the metabolism and prevents the action of free radicals, helping our body to stay strong and young. Amino acids and minerals like iron, calcium, magnesium, phosphorus are also contained in the alga. This food is very rich in chlorophyll and is considerate one of the best aliment to help the immunitary system, being able to prevent bacterial and viral infections. Living in environments like cities exposes us to toxic chemicals. Many of us are still addicted to junk food, all that processed stuff we ingest, thinking that it doesn’t damage our bodies. If you are switching to a plant based diet, or if you want to detox your body, then this superfood is for you because it’s known for it’s detoxifying power; it helps us to eliminate the heavy metals we absorbed. Detoxing the body is fundamental for our general health and for our spiritual path. The energetic body, being made of a more subtle energy, is very sensitive to what we eat and it can not function properly if we don’t take care if it. Being aware of what we eat is a necessary step. 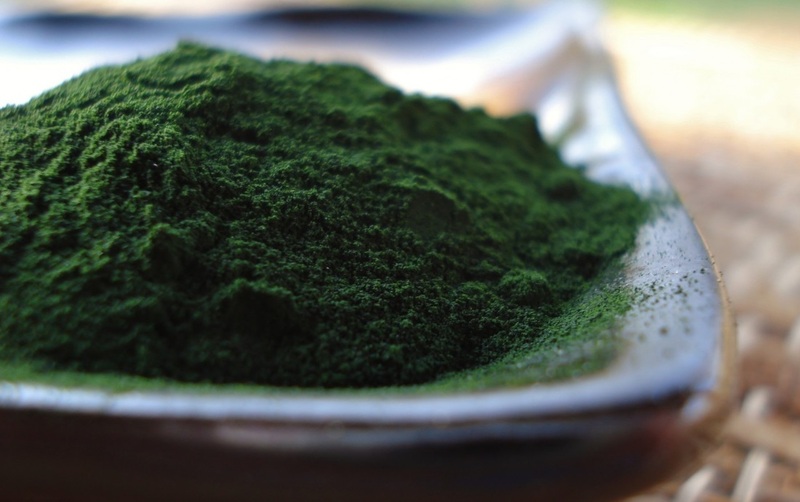 Chlorella is also useful to depurate the liver, intestine and blood. Other important proprieties: helps the bacterial flora, it regulates the pH of the intestine and alkalizes the body. It also prevents cancer. Can be taken in powder or pills.